San Jose State University students thank donors for supporting the SJSU Fund, which provides ongoing support for innovative student programs, services and enrichment opportunities and help provide essential resources for colleges, schools and departments. 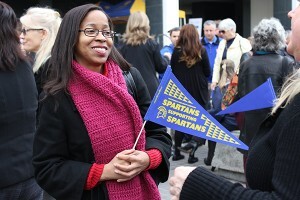 San Jose State University staff and faculty gave more than $80,000 in donations to the Spartan Supporting Spartans Campaign in 2016. The 2017 campaign will launch in March. In 2016, the Spartans Supporting Spartans Annual Giving Campaign raised $81,700 in gifts and pledges from 287 faculty and staff at SJSU. 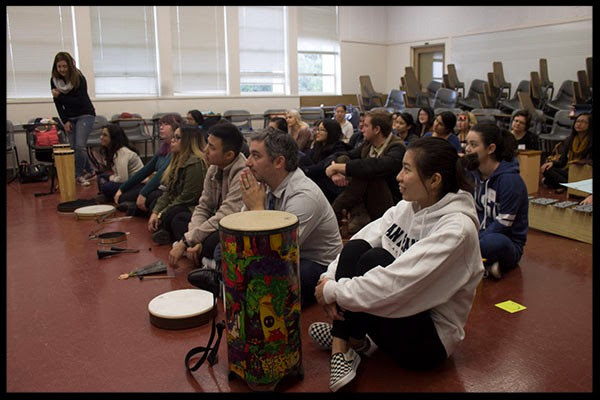 The annual fundraising campaign raises money that directly supports students through scholarships, the student emergency fund, and expanding research, scholarship and creative activity opportunities for them to engage with faculty. The Spartans Supporting Spartans Campaign Committee has already started preparations for the spring 2017 donation drive that is anticipated to kick off onMarch 2. The committee is again planning to bring mobile coffee carts to more than half a dozen locations on campus in March and April, with hot beverages, treats and donation forms in hand. The co-chairs this year include Michael Kimbarow, the chair of the Academic Senate and a professor of Communicative Disorders and Sciences, and Elisabeth Thomas, an outreach librarian. 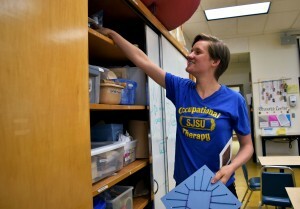 “These donations will help give current and future SJSU students the resources they need for academic success so that they too will one day look on the good memories they made at SJSU,” she said. Kimbarow is serving for the third year as co-chair and he donates because he believes every dollar raised to support students and the mission is a dollar well spent. He donates to his department to support its mission of providing speech and language assessment and treatment to individuals with communicative disorders. Faculty and staff may designate their donation to any fund on campus, including one within their own department, college or division. Popular funds in recent years have included SJSU’s General Scholarship Fund, the Support Our Staff Scholarship Fund (a scholarship for SJSU employees who are completing a degree), and the Research, Scholarship and Creative Activity fund.